We’ve all been faced with dancing at some point in our lives. 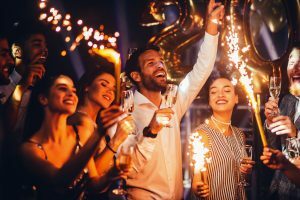 Whether it was a wedding, night club, or your high school prom, dancing is something that is a staple of any culture in every part of the world. But dancing doesn’t just have to be for special events. In fact, dancing can open opportunities for you that don’t involve embarrassing yourself in front of a big crowd! The wonderful part about the world of dancing is that it is not just an activity, it is a lifestyle. Dancers who love what they do want to share it with others. More often than not, dancers will want to share their skills with others. Dancing with people of all backgrounds opens the door to countless interactions, friendships, and new communities. Another great way dancing can change your life is through strengthening your existing relationships. If you’re married, think about your first dance with your partner. That feeling of closeness is one that is strengthened by dancing with one another. No matter the style, dancing with your significant other is undoubtedly one of the most fun ways you can spend a date night! When we think of a workout, we don’t always think fun. But what if I told you that dancing is one of the best cardiovascular workouts on the market? Not only does it get your heart pumping and your body moving, dancing can relieve stress and improve your health all at the same time. In fact, dance styles that burn the most calories range anywhere from 300 to 500 calories burned per hour! We’ve all been bored at one point or another, and dancing is a great way to cure that. No more weekends in front of the television! Instead, sign up for a class at your local dance club to beat the boredom and enrich your life with an exciting new hobby. Never again will you be anxious about dancing at a wedding, birthday, or when you’re out with friends! Expanding your portfolio of skills to include dance gives your social resume a boost and can make you a highly desirable dance partner at your next big event. Start off simple with the foxtrot or a swing dance and watch as your confidence begins to pick up!